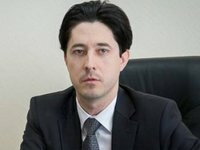 The board of Transparency International (TI) Ukraine at a meeting on April 29 unanimously elected former Ukrainian deputy prosecutor general Vitaliy Kasko the fifth member of the board for the term of tenure of the effective board – until late October 2016, TI Ukraine has reported. "The key reason why Kasko was supported as nominee was his professional qualities and a huge experience in investigations against [former disgraced Ukrainian president] Viktor Yanukovych and his corruption crimes," TI Ukraine Board Chairman Andriy Marusov said. He expressed confidence that Kasko's appointment will significantly help TI Ukraine in achieving its strategic goals. U.S. ambassador describes Kasko's resignation as "blow to Ukraine's reform progress"